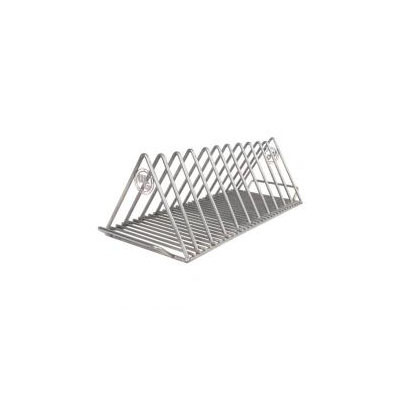 Our Stainless Steel Rib Rack is perfect for barbecuing your favorite ribs. Made from heavy duty 304 stainless steel rods, the Wilmington Grill Rib Rack will last a lifetime. The design allows you to cook a large amount of ribs by simply placing the ribs vertically inside the slots on the rack. This allows for even cooking of the ribs. Simply place the loaded rack with ribs on your grill grate and you are ready to cook.